Wiland Associates LLC is a National Company that was established as a Washington State Limited Liability Company in 2002. 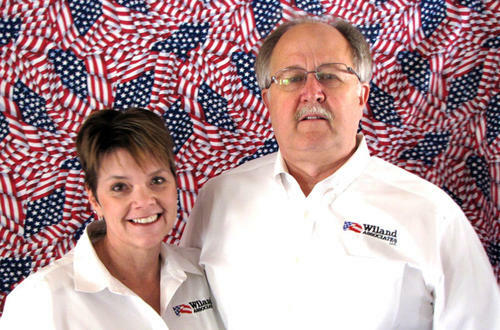 As the principles of Wiland Associates LLC, the Andring Family has assembled some of the best minds, consultants, instructors, developers and providers of All-Hazard Incident Management Team courses, including the USFA (O305) All-Hazard Incident Management Team, EMI Position Specific, Training, and Emergency Operations Center courses. With more than a decade of national experience, Wiland Associates is recognized as one of the nation’s most experienced providers of USFA/DHS/EMI Incident Command System, All-Hazard IMT, Position Specific Training, and Emergency Operation Center courses. Our course deliveries feature a cadre of nationally recognized and respected instructors whose combination of experience and expertise provide an exceptional learning experience to all participants. Wiland Associates national deliveries began as one of the first firms authorized by the United States Fire Administration to deliver their (O305) All Hazard Incident Management Team course, and by the Department of Homeland Security and United States Fire Administration to delivery their newly released position-specific curriculums. Wiland Associates national experience in the development, facilitation, and evaluation of HSEEP compliant exercises is extensive and managed by graduates of the FEMA Master Exercise Practitioner Program (MEPP).